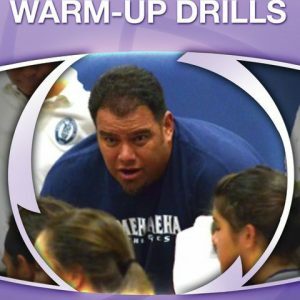 19x State Championship Coach; Club Director and Coach at Asics Kiva ClubRon Kordes teaches you how to create drills that will help increase player development and competitiveness in practice. 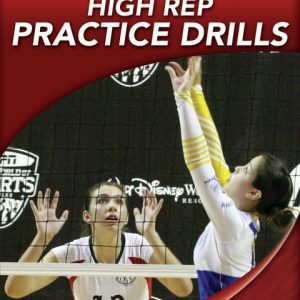 He presents a dozen drills, along with the scoring standards he uses in his gym, that can be adapted to fit your team’s needs. These drills will improve your offensive efficiency and defensive competitiveness. You will learn how to increase intensity in drills, make them goal-oriented and keep them competitive – giving players the best chance to focus on quality contacts. Coach Kordes defines the purpose of each drill so that you can understand them better. Train your players to be aggressive and effective attackers. The drills are goal-oriented and competitive to encourage players to practice with intensity. These drills will help your players improve ball control, hand contact, attack location and out-of-system attacking. The Queen B Drill Series demonstrates small group and 6v6 drills that work on attackers hitting off of the blockers’ hands to score. Using this drill helps take the fear out attacking at the block. The drills put a large focus on players attacking to the 1 and 5 zones. The main goal is to stay out of the 6 as a hitter. This is important as most teams have their best defensive player playing the 6. 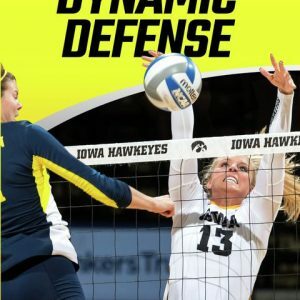 This section includes defensive drill that emphasize blocking, reading and digging. 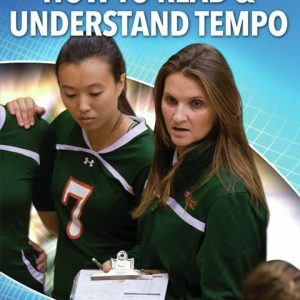 Your players will learn proper digging technique and how to make good defensive contacts. Most of the defensive drills focus on training the back row diggers. These drills work on digging cross court and line shots as players focus on getting good defensive contacts. Coach Kordes teaches blocking posture and how to penetrate over the net. Blocking drills work on teaching blockers to read hitters’ line of approach and get into good blocking position. Blockers who can pick up the attacker’s line of approach put themselves in a better position to disrupt the attack. In all drills, Coach Kordes creates a competitive atmosphere where players compete or meet a goal to finish the drill. This section contains a few drills that put it all together. All drills are competitive where players are competing to get a certain goal or score. The drills also involve error correction to help players atone for themselves. 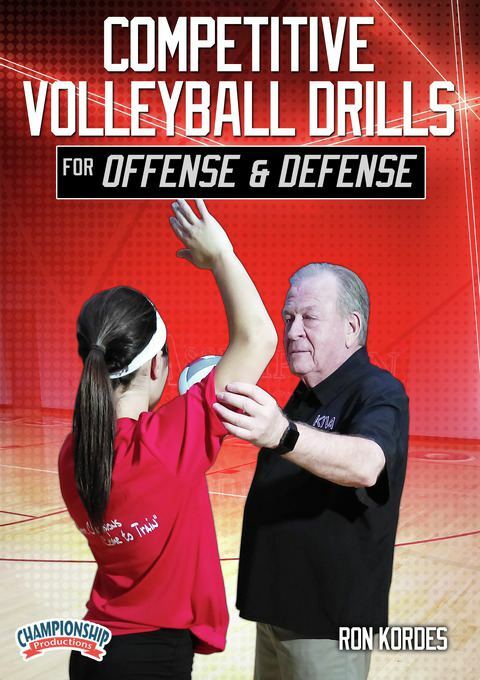 First ball kills and transition offense play a crucial role in the game of volleyball today. Seeing proven drills and techniques designed to emphasize these areas is invaluable. Competitive offensive and defensive drills will put your players in pressure situations where discipline and focus is paramount. Coach Kordes’ drills will help improve your team’s offensive efficiency and defensive competitiveness.